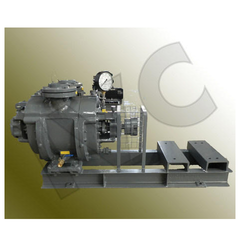 Offering you a complete choice of products which include vacuum pump for paper mill. Single Stage Vacuum Pump for Paper Mill are equivalent to most reliable SLM-MANEKLAL design. These rugged pumps are simple for smooth operations and easy to maintenance. Looking for Vacuum Pump for Paper Mill ?